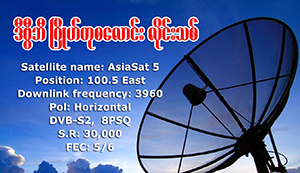 The judge in Pathein said the broadcast was deemed slanderous to the servicemen of the Burmese army and their families. This latest hearing came a day after literary rights group PEN America announced it was presenting the Reuters reporters with its Freedom to Write Award. Judge Ye Lwin told reporters Wa Lone, 31, and Kyaw Soe Oo, 27, that they were ineligible for bail under the terms of the colonial-era law. A new prison law was discussed in parliament in 2015, but not passed. Nor has it been taken up by the NLD who took power in early 2016. Police have decided to withdraw criminal charges filed against three journalists and their driver under Burma’s Export and Import Law and Immigration Act after the foursome were detained in October for attempting to fly a drone over the parliamentary complex in Naypyidaw. Myanmar National Human Rights Commission says it is powerless to intervene in the case involving two Reuters journalists who were arrested on December 12. The military-backed Union Solidarity and Development Party (USDP) has injected itself into the debate over two Reuters journalists who were detained last week, with a party official saying they should be released if not guilty of wrongdoing. One week since they went missing, two Reuters reporters detained by Burmese authorities are being treated well and in good health, according to a senior government spokesman, who nonetheless declined to provide information on where the two men are being held. Journalists Wa Lone and Kyaw Soe Oo were arrested last Tuesday evening after they were invited to dine with police officers on the outskirts of Yangon. Three journalists — two of them foreign — and their driver remain imprisoned in Naypyidaw after their second hearing on Thursday in a case that some are billing as the latest test for press freedom in Burma.